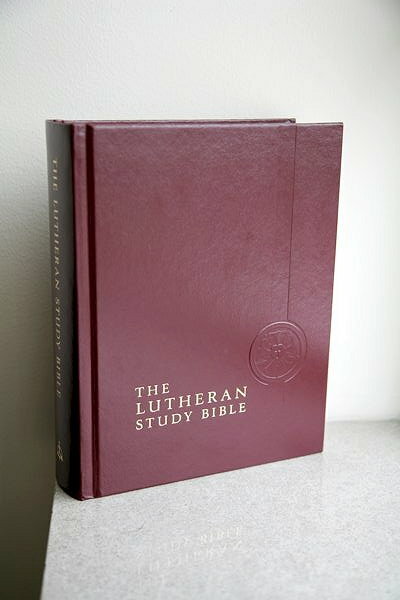 In 2016, we were able to replace all the pew Bibles with Lutheran Study Bibles. We also have the more complete study Bibles downstairs for the Bible studies. In 2010, a digital version became available. You can buy this from Concordia at Concordia Study Bible on CD-ROM or from Amazon.com for your Kindle at The Lutheran Study Bible. Although the season of Advent is always beautiful at Trinity, a couple of years ago it was particularly so. 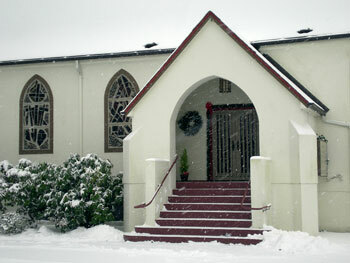 In recent years, it has not been common to see snow much, during the winter. In the year pictured, it was not so. We had a storm, which began before Christmas and lasted in some form or another, until the middle of January. Consequently, we received from one to two feet of snow. Services were disrupted just a bit with cancellation of one Advent service, low attendance on the following Sunday, but Christmas Day was well attended.